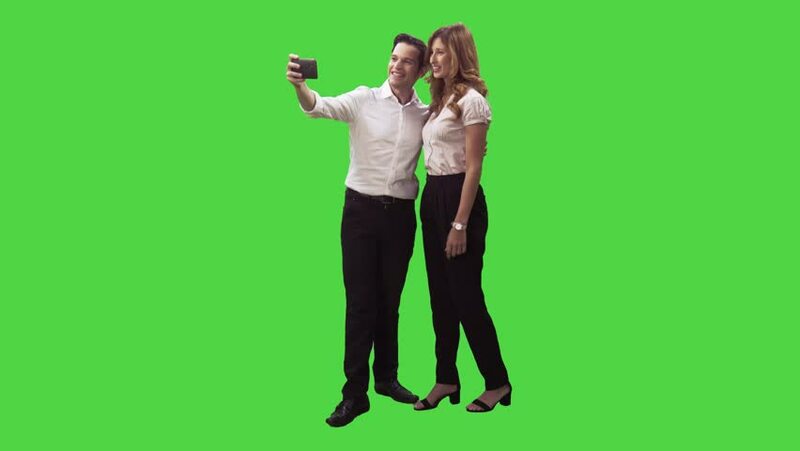 Businessman and a businesswoman taking a selfie using a smartphone in a full body shot over a green screen. Four takes. 4k00:16Young adult taking selfies with smartphone camera on a green screen chroma key background easy to replace with your content. 4k00:09Wonderful white female model making selfie while walking on a Green Screen, Chroma Key. 4k00:16Blonde woman preening in front of the smartphone on a Green Screen, Chroma Key.